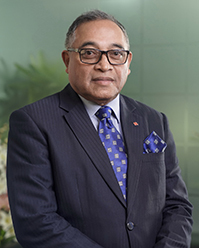 Mr. Feroz Ahmed is a member of the Board and the Chairman of AB International Finance Limited, Hong Kong, and Director of AB Investment Limited, AB Securities Limited, and Cashlink Bangladesh Limited. Mr. Ahmed is also the Chairman of Elite Paint Group and the Managing Director of Elite International Ltd., Hexagon Chemical Complex Ltd. and Ahmed Securities Services Ltd. among others. Apart from business activities, Mr. Feroz is also involved with various Socio-Cultural, Philanthropic and Sports organizations. He was associated with the Bangladesh Cricket Board (BCB) as its AD-HOC Executive Committee Member. He is also a Member, Board of Trustees, Chittagong Independent University, life member of Chittagong Zila Krira Sangstha and member of Chattagram Mohanagari Krira Sangstha. He also a life member of Red Crescent Society, Chittagong, Maa O Shishu Haspatal, Chittagong. 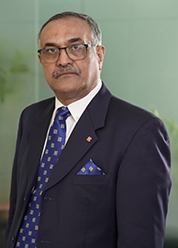 Syed Afzal Hasan Uddin is a Director of AB Bank Limited. He graduated from King’s College, London in 1993 and was called to the Bar from Lincoln’s Inn, London in March 1996. Mr. Afzal Hasan Uddin is the Managing Partner of Syed Ishtiaq Ahmed & Associates, one of the prominent law firms of the country. Prior to joining Syed Ishtiaq Ahmed & Associates, he worked for the Civil Litigation Department of Price Waterhouse in London. He enrolled as Advocate of the High Court Division of the Supreme Court of Bangladesh in 2001. Mr. Afzal Hasan Uddin’s area of expertise include advising clients in the areas of telecommunication, energy and power generation, mergers and acquisitions, due diligence of companies and general corporate and commercial affairs. Mr. Afzal also serves in the Board of other prominent listed and unlisted companies as Independent Director. Mr. Asish Baran Sarker was born on 2nd February 1948 in Chittagong. He graduated from Sir Ashutosh College, Chittagong in 1969. He has been serving Pacific Group for the last 46 years in different capacities. He is also a Director of Cashlink Bangladesh Limited. Mr. Moshtaque Ahmed Chowdhury has come from a respected Muslim family in Cox’s Bazar. He joined as a Director of AB Bank Limited on December 21, 2017. Mr. Chowdhury is a renowned businessman engaged with trading business of Bagda shrimp in Cox’s Bazar since long. Mr. Chowdhury has a spectacular political career which began in 1965. He is a freedom fighter and played a vital role in the Independence of Bangladesh. He was elected for three times as a Member of Parliament in the Year 1970, 1973 and 1991. He served as an Administrator of Cox’s Bazar Zilla Parishad, Cox’s Bazar before being elected as the Chairman of the same Parishad from 2017 to till date. He is involved in various social welfare activities and has contributed by executing many structural developments in this area. He also built a number of Schools, Colleges, Madrashas, Roads, Bridges, and Culverts etc. To alleviate the sufferings of the Natural Disaster affected people, from time to time he undertook various activities and stood by them to meet their needs. Besides this, he has successfully executed the responsibility of relief distribution and has rehabilitated the disaster victims as a Member of Parliament and chairman of Bangladesh Red Crescent Society, Cox’s Bazar District. Mr. Ahmed attended various business Seminars /Trainings in Japan and Hong Kong. He participated in numerous Seminars in USA, UK, Switzerland, India, Nepal, Italy, Greece etc. as a government representative. Mr. Shajir Ahmed completed his Bilingual Diploma degree on International Baccalaureate (IB) from United World College of South East Asia, Singapore. Following which, he graduated in Business Management from Kings College London under University of London in 2008. In 2009, he started his first job as a Central Accounts Officer in Habib Bank AG Zurich, Dubai. 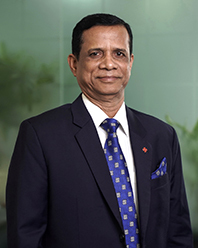 Upon Mr. Ahmed’s return to Bangladesh in 2010, he joined his family business as the Director of Elite Paint & Chemical Industries Limited, a pioneer manufacturer of different graded paints in Bangladesh. At present, Mr. Ahmed is the Managing Director of Super Silica Bangladesh Limited and the Director of Super Tel Limited, Super Sea Fish (Pvt.) Limited, Elite Super Plastic Ind. (Pvt.) Limited, Super Shares & Securities Limited., Elite Food Industries Limited, Broast Foods Ind. (Pvt.) Limited and Aurora Decor Limited. Mr. Ahmed also holds the position of Deputy Managing Director of Super Refinery (Pvt.) Limited, the first Natural Gas Condensate Refinery in the private sector since June 01, 2006 till date. 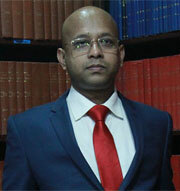 Mr. Khairul Alam Choudhury, Barrister-at-Law is a Director of AB Bank Limited. He graduated from University of Wolver Hampton, UK in 2001. Thereafter, Mr. Choudhury obtained his post graduation from the City University, UK in 2002 and was also called to the Bar from Lincoln’s Inn, London in 2002. Mr. Choudhury is a practicing lawyer of the Supreme Court of Bangladesh. Mr. Tarique Afzal joined AB Bank on 14th October, 2018 as Deputy Managing Director – Head of Corporate, Legal & Regulatory Affairs. Subsequently, the Honorable Board of ABBL has designated him as the President and Managing Director (CC) of AB Bank effective 12th December 2018. 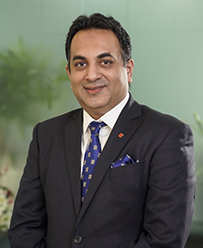 Prior to joining AB Bank he was the Chief Executive Officer of Sonali Polaris Financial Technology Limited a joint venture of Sonali Bank and Polaris, India. 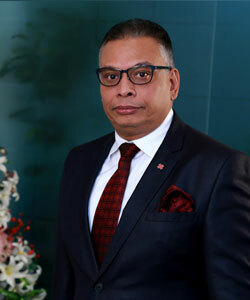 Mr. Tarique Afzal, to his credit, has impressive overseas work experiences and worked in London during the late 1980s and in Credit Union in Canada, later served in ANZ Grindlays Bank and Standard Chartered Bank in Bangladesh. 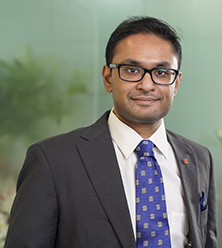 He also worked in Bank Alfalah, BRAC Bank and served as the CEO for Dun & Bradstreet Rating Agency in Bangladesh. His core competencies are creating new business streams, operational efficiency, performance improvements and regulatory relationships.